The other day we visited Ballard Locks in Seattle and got some great shots of the boats moving from Lake Union through to Elliott Bay. They have two locks in Ballard, one really really big (it’s like two football pictures) and one that’s pretty small. The big one takes a LONG time to fill up with boats, then it takes a long time for the water to rise. So if you go into the big lock you have better have a lot of time. The smaller lock (in tonight’s picture) is a lot smaller. For example here you can see it containing pretty much one big boat and a few small sail boats and it’s full. So with this one you get in and out quicker. I’m not sure what the rules are, if it costs more or something but most boats you see there go through the larger lock. In the image below I’m standing on the gates that open and let the boats out so I’m literally at one end and the can see the gates at the other. This is a cool place to take a camera, the only down side is that there are either too many people there in the way or you end up with all these fences in the way of the pictures. They fence off every thing here. 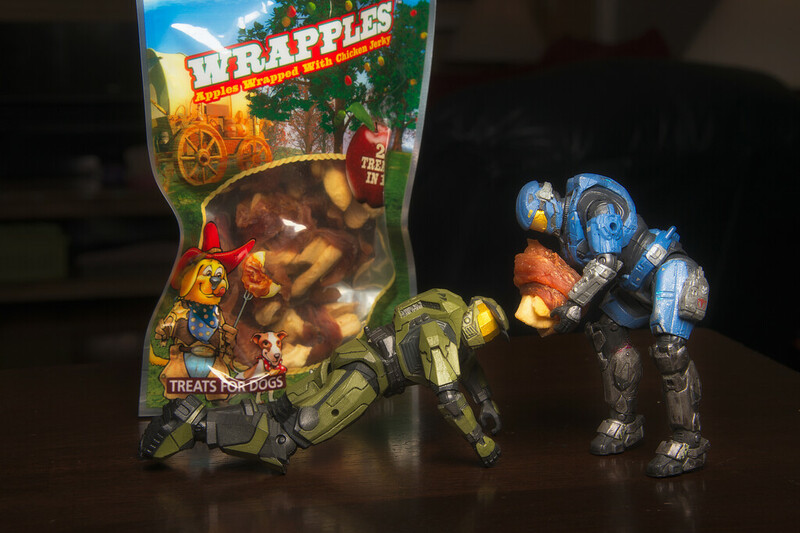 So it’s hard to try to take pictures that focus on the subject you want. Beside the docks they have a fish ladder where you can go and watch the salmon jump up the ladder to get up river to spawn. I’ll go back there in a few weeks and try to get some shots of the fish as it’s quite amazing to see. 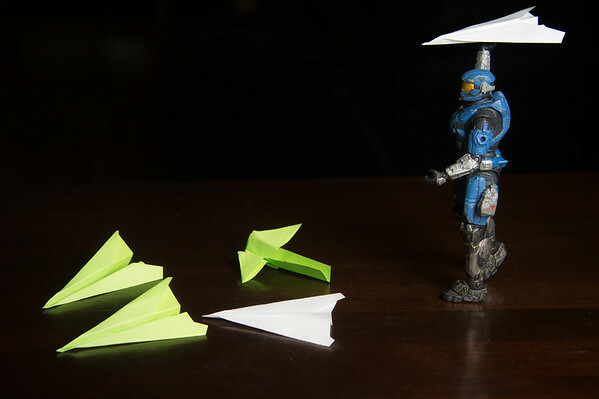 Carter decided to make some paper plane’s tonight, they didn’t fly very far though. Wednesday’s are a bad day for me lately. I get to work at 7:30 and stay here until gone 9 at night. So I really don’t get much time to take a picture and post it. So to overcome that I now get two pictures on Tuesday (clever eh?). Then all I have to do on Wednesday is write something about the image and I’m done. 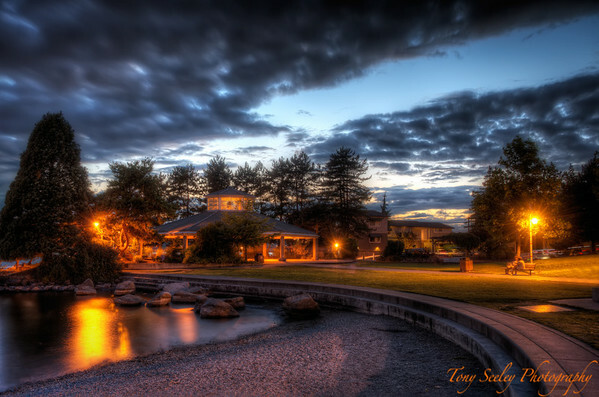 So last night I drove to Seattle and photographed the Seattle Boat Club (not to be confused with the Seattle Yacht Club that is in a totally different place). After shooting that image I went looking for today’s picture. I was driving sown Lake Washington Boulevard and I saw the I90 Bridge all lit up. It was pretty dark by this time so they had these red lights along the bridge, and loads of traffic headlights and stop lights on the bridge itself. So I found somewhere to park and took the image below. When I took this I was a little worried it may be a little boring as the sky on the back of the camera didn’t look that great. But when I got home I was pleased with the image. This was I think a 10 second exposure (or something like that), so you can see the lines of lights from the cars on the bridge. I managed to get some cloud detail in the sky so it looked ok. Not bad for a Wednesday image. 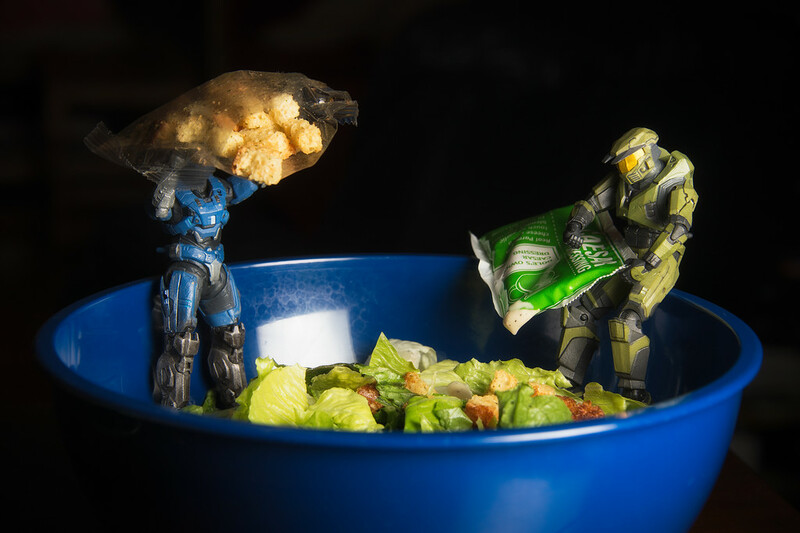 Tonight Cater and Master Chief wanted a Caesar Salad, so we made them make it themselves! I got in from work tonight, had some dinner and hit the road with the camera. I wanted something new to post and thought a nice sunsety picture would look good. A place I’ve been meaning to go now for a while is Seattle’s Boat Club. 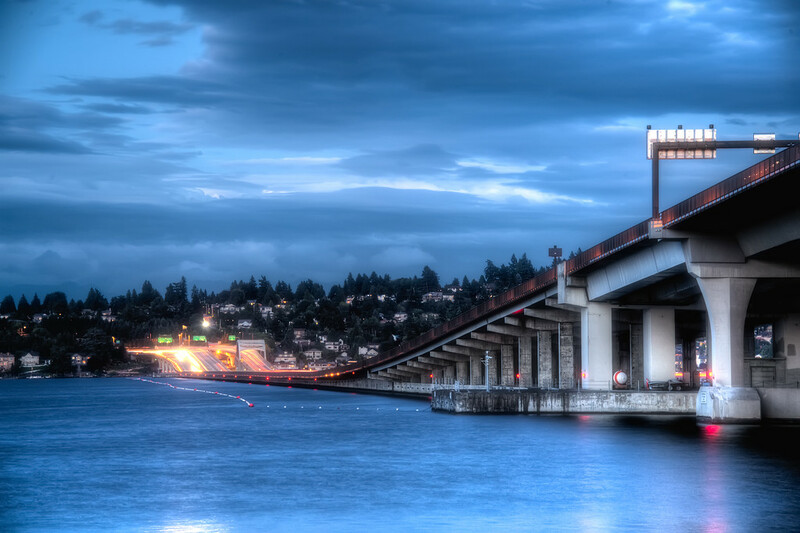 As you drive over the 520 bridge into Seattle you cross Lake Washington, and the a smaller lake called Portage Bay before you get to Lake Union and Seattle. 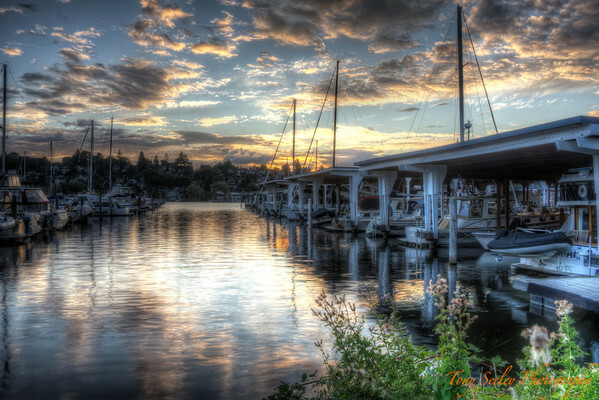 Located in Portage Bay is Seattle Boat Club. It looks pretty cool as you drive past on the free way, so tonight I thought I’d try and grab a picture there. I found the boat club pretty quickly off Lake Washington Boulevard and found somewhere to park up. The houses around this bay are really impressive, they overlook the water and are huge (we are talking multi-millions I would think). Anyway I parked up, grabbed the tripod and camera and went for a walk. There were 4 pier’s surrounded by boats and some of the boats were massive. In the end I set up the camera between piers 2 and 3 and captured today’s picture. The sun had just set over Seattle and the sky looked really cool. The water reflected the sky and clouds and made I think a really nice picture. I’d quite like to go back there when it get’s dark as the whole place is lit up and I’m sure will look amazing. But that’s a shot for another day. 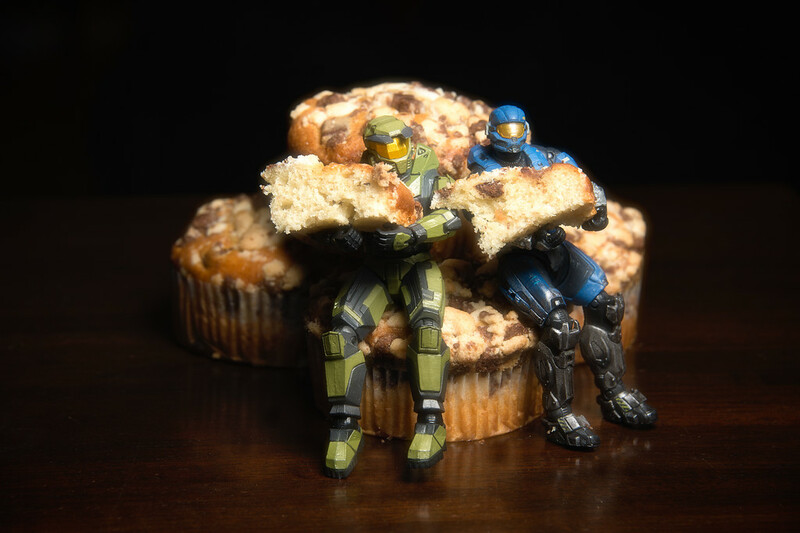 Tonight the guys decided to have some muffin. Chocolate banana, yummy. 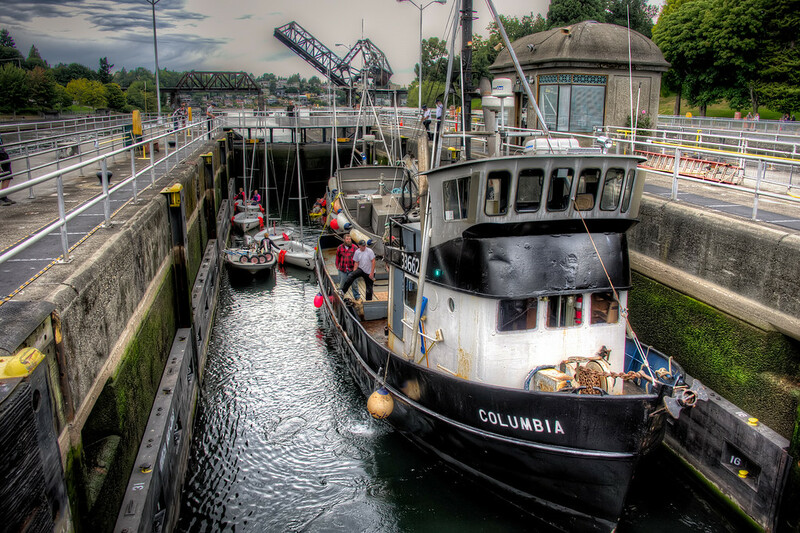 In yesterday’s posting I told you about visiting Ballard Locks in Seattle – I was lucky enough to get a few good shots and today’s posting is another one from the visit. Yesterday’s tug boat entered the lock from Lake Union and to get out of the Lake and into the lock it had to get past the Ballard railway bridge. 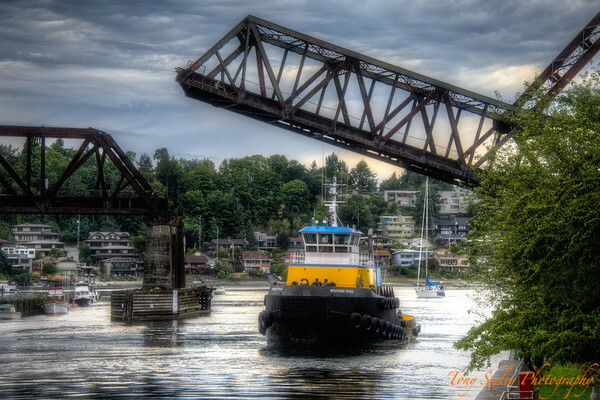 I was there at exactly the right time to shoot the boat as the bridge raised and the tug boat sailed underneath. The boat was moving pretty fast so I couldn’t HDR the image, I had to shoot just one shot and process that when I got home. We had quite a bit of cloud cover (it rained a little on the way home) but it came out as very grey in the finished picture. So I single file tone mapped the image to bring a bit of texture and color back. The end result looked pretty good, with the yellow tug boat under a blue grey sky. Ten minutes before I took this shot a train went across the bridge, it actually wasn’t that impressive so I didn’t take a picture, but it did show that the bridge was still fully functional. I actually liked this image best but I let Lisa pick the image for yesterday’s posting. This really was one of those moments when you knew you had a great shot the moment the shutter closed. 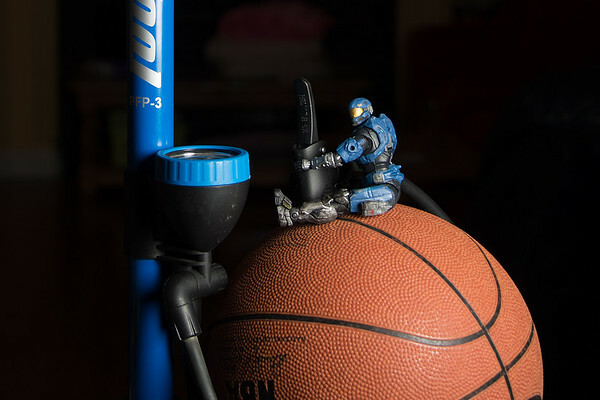 Carter wanted to play basketball this evening but the ball was flat, so he helped pump it up.